Regal's British Museum Collection combines design elements seen in the Museum but goes one further with a pearl adorning the top. The simple svelte body is crafted from resin over copper. Beautifully balanced and a joy to hold. But don't overlook the primary feature; extreme value! 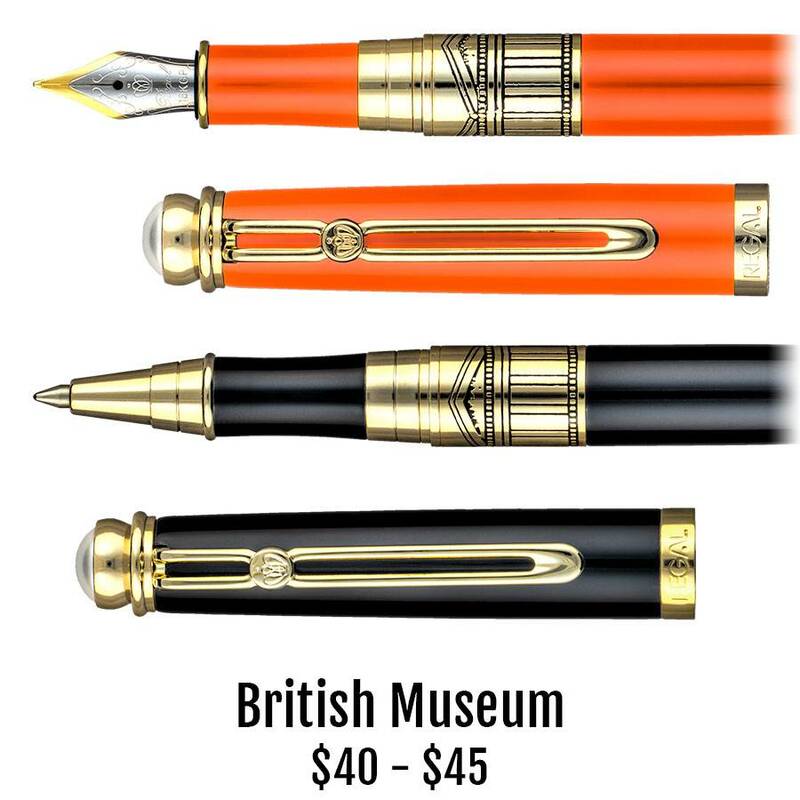 Priced at just $45 for the German tipped fountain pen you should consider buying both colors as surely a friend will beg you to borrow yours. And be sure to mention where you found this magnificent writer. We'll have one waiting.